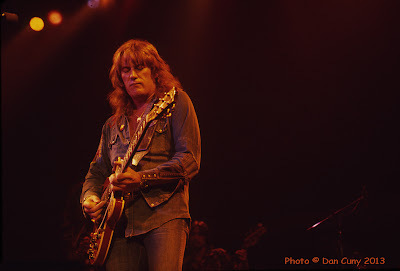 Editor's Note: Alvin Lee, the leader of Ten Years After, and a formidable musician in his own right, passed away on March 6, 2013. Brit Rock by the Bay offers these photos and memories in tribute to his talent. 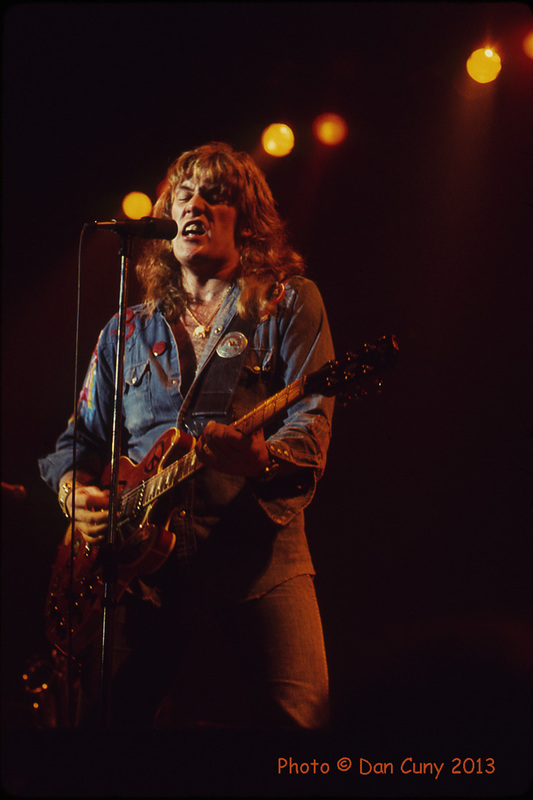 Alvin Lee was born (with the actual name of Graham Barnes) in Nottingham, England, in 1944. His father, Sam, and his mother, Dot, both had a keen interest in music themselves, and they happily encouraged their son in his own musical endeavors. 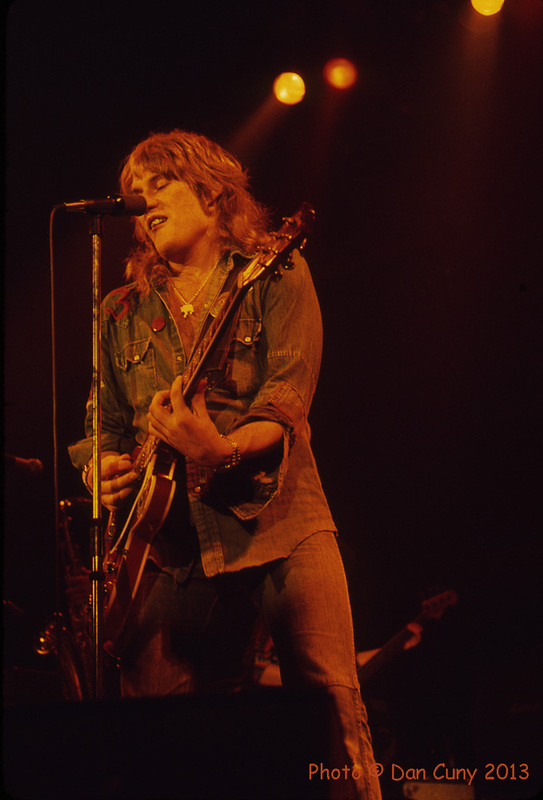 Alvin Lee started off with the clarinet at the age of twelve, but he soon changed direction and applied his abilities to the guitar, pursuing a strong interest in jazz, blues, and rock'n'roll. By the middle of the 1960s, he had committed himself to life as a musician, and was performing as guitarist and vocalist in The Jaybirds, with Leo Lyons on bass, Chick Churchill on keyboards, and Ric Lee on drums, a durable lineup that later came to be known as Ten Years After. 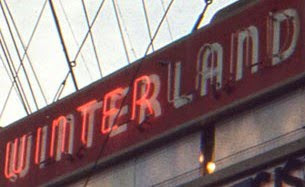 The Jaybirds (with varied members joining and leaving) regularly performed at venues throughout the East Midlands of England in their early days, and, for five weeks in 1962, at The Star Club in Hamburg, Germany (where The Beatles and many other British musicians also performed). In 1966, The Jaybirds moved from Nottingham to London, where Chick Churchill joined, completing a lineup that was destined for fame. During 1967, they changed their collective name and established themselves as Ten Years After, playing frequent shows at the Marquee Club on Wardour Street, and releasing their first LP, Ten Years After, on Deram Records. 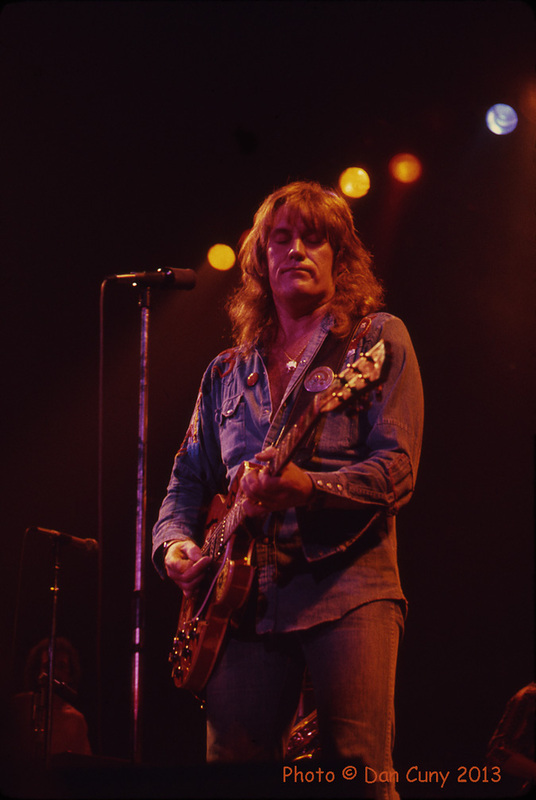 The nine tracks on the album featured a bluesy sound that was shaped by the hard-hitting guitar and distinctive voice of Alvin Lee. The second LP by Ten Years After, Undead, was released in 1968. It was a live album, recorded during a gig at Klooks Kleek, a small club in London, and was intended to convey the exciting rawness of their style as performers. In addition to three songs written by Alvin Lee, "I May Be Wrong Now, but I Won't Be Wrong Always," "Spider in My Web," "I'm Going Home") it also featured powerful renderings of two older tunes, "Woodchopper's Ball" (first recorded by Woody Herman and his big band in 1939) and "Summertime" (a song from George Gershwin's opera, Porgy and Bess). 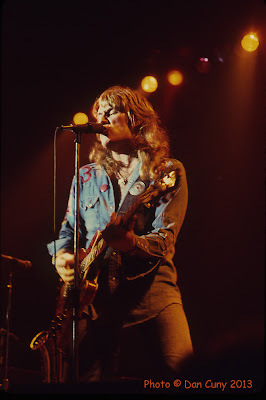 In 1969, Ten Years After released two further albums, Stonedhenge and Ssssh, with Alvin Lee writing most of the tracks on each album. By that time, the musicians of Ten Years After were spending most of their time on the road, particularly in the United States, where they always were given a warm reception from eager audiences, and where standout tracks from their albums ("I Can't Keep from Crying, Sometimes," "Good Morning Little Schoolgirl," "Hear Me Calling,") were given widespread airplay on FM radio. In August, 1969, Ten Years After appeared (with Jimi Hendrix, The Who, Joe Cocker, and many others) at the Woodstock Music and Art Fair in Bethel, New York, offering a stunning performance that proved to be one of the highlights of the festival. One of the songs from their performance, "I'm Going Home," with Alvin Lee wailing on the strings of his Gibson 335, was featured in the film, Woodstock, and quickly transformed him into a superstar. 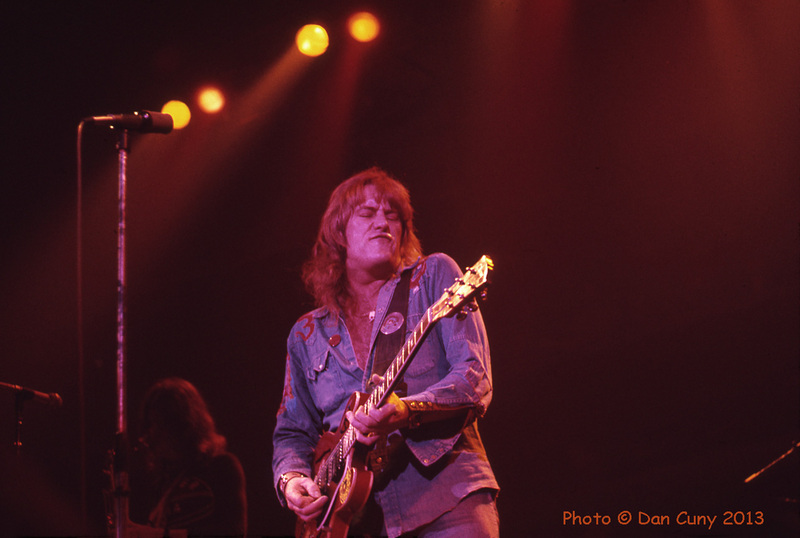 Ten Years After continued to be extremely busy during the early 1970s, constantly touring and appearing in huge venues, and regularly releasing new albums: Cricklewood Green in 1970, Watt and A Space in Time (featuring "I'd Love to Change the World," written by Alvin Lee, which became a hit on American radio when it was released as a single) in 1971, Rock and Roll Music to the World in 1972, and Recorded Live in 1973. 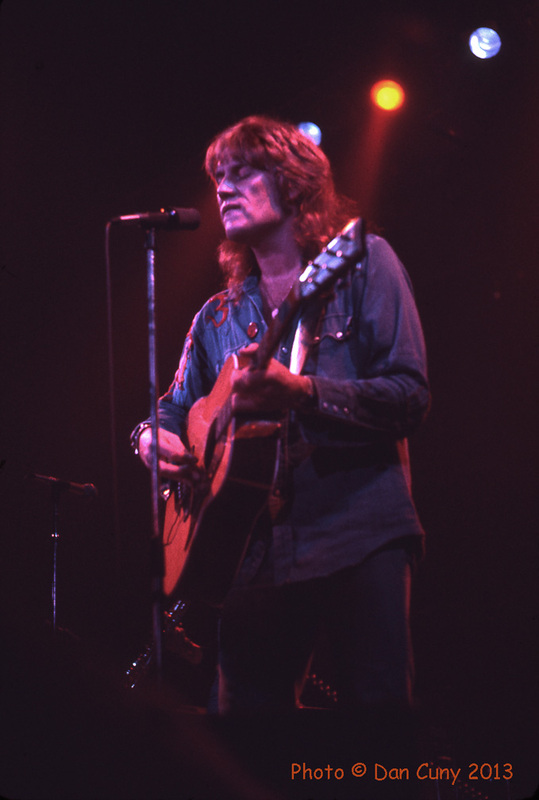 In November, 1973, Alvin Lee stepped away from Ten Years After and released On the Road to Freedom, an album that combined his talents with those of Mylon LeFevre, an American musician and songwriter, and also featured George Harrison, Ron Wood, Steve Winwood, Jim Capaldi, and Mick Fleetwood. 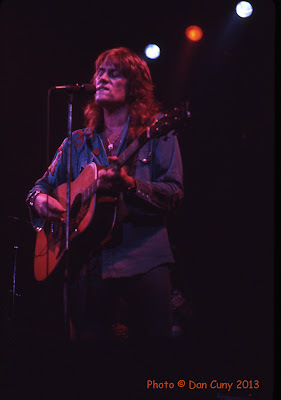 Ten Years After released another album, Positive Vibrations, in 1974, and later became inactive (remaining dormant until the release of About Time in 1989), which allowed Alvin Lee to continue with his own music. 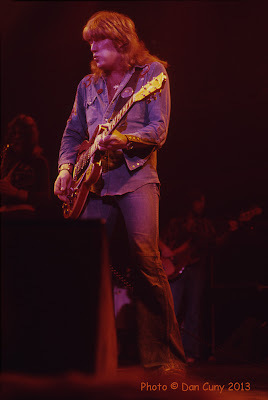 When he appeared at Winterland in February, 1975, he was touring with a collection of handpicked musicians, including Steve Thompson (bass), Ronnie Leahy (keyboards), Mel Collins (saxophone), and Ian Wallace (drums), as Alvin Lee and Company, and he clearly was relishing the opportunity to avoid stadiums and return to smaller venues. As a result of his decision to separate himself from the well-known (but also well-worn) framework of Ten Years After, he gained the freedom to pursue a musical direction that was more flexible and less constrained. David: My friends and I saw Ten Years After at the Cow Palace in 1974, ten years after The Beatles played there. It was a large hall with a strong feeling of rock history. I remember listing, in my head, the top lead guitarists of the period. Jimi Hendrix, Eric Clapton, George Harrison, Jimmy Page, Jeff Beck, Pete Townshend, and a few others. It was an exclusive club, and Alvin Lee was in it. So, seeing him perform was a major event. 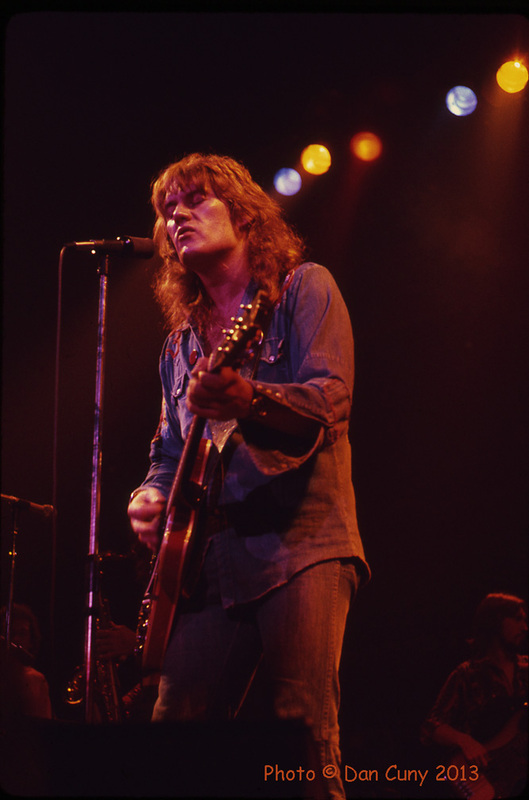 We saw Alvin Lee and Company eight months later at Winterland in San Francisco. It was Alvin Lee with a new band that included Mel Collins, from King Crimson, on sax. The songs were from his newest album, In Flight. The music was much different. It was softer and had a variety of styles. Mel Collins expanded the sound by adding some jazz. 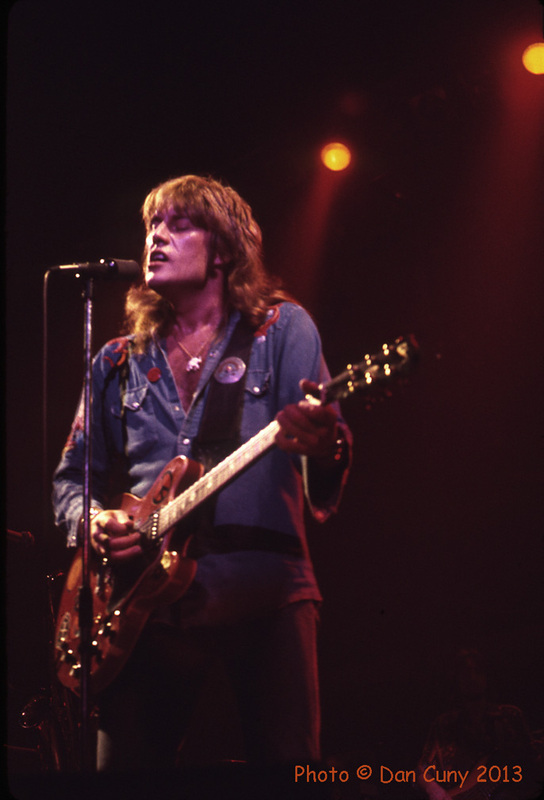 Alvin Lee did a couple of rock'n'roll standards like "Money Honey" and "Slow Down." There were no Ten Years After songs in the set. It sounded good, but I was unfamiliar with the music and I don't remember much about the concert. I was glad to be able to see the original Ten Years After, even though it was at the tail end of their life together. It was great to see Alvin Lee and Company, too. Out with the old, and in with the new. The music of Alvin Lee and Company was good, but not as well received as Ten Years After's boogie blues with Alvin Lee's lightening fast guitar picking. Most fans wanted to hear the harder rock, and attempts at softer rock didn't go over well with the heavily intoxicated audiences that attended those shows at that time. We were able to meet Alvin Lee after his concert at Winterland and get his autograph. I remember how nice he was to stop and carefully sign his name on my little pad, and he even put "Thanks" there, too. Thanks to you, Alvin. You were a great musician. Gary: It seemed that blues-rock was everywhere in the late 1960s and early 1970s. British bands such as John Mayall and The Bluesbreakers, Cream, Savoy Brown, Fleetwood Mac (in their early years), Blodwyn Pig, Chicken Shack, The Keef Hartley Band, and American bands such as The Butterfield Blues Band and Canned Heat were EVERYWHERE, and even bands such as The Beatles, whose music was lighter pop in style, had the influence of the earlier authentic blues music absorbed into their own music on many levels. The blues really tied it all together, and changed 1950s rock into an explosion of styles during the period when we were coming of age. 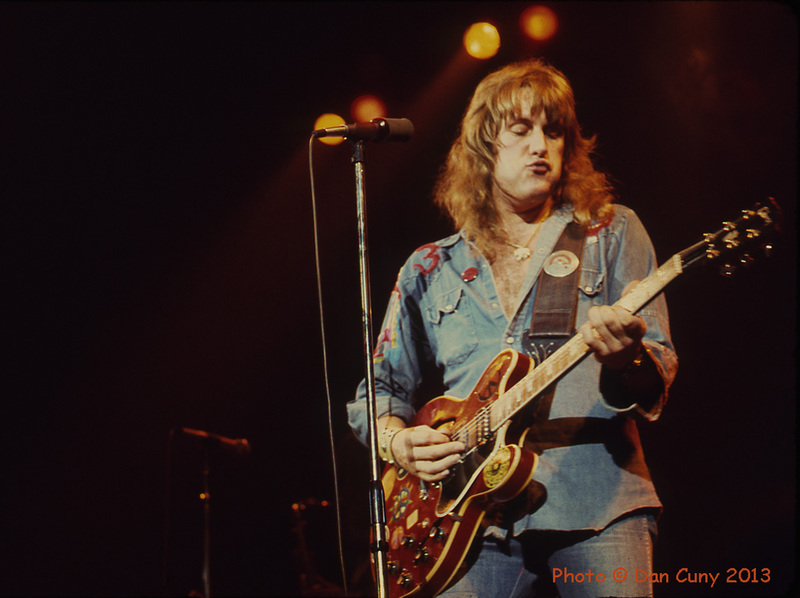 The blues was used, borrowed, and stolen, and was responsible for making that period such a strong renaissance, and Alvin Lee and Ten Years After were a part of that. I didn't have the early Ten Years After albums on Deram, but "Hear Me Calling" was popular on FM radio, and after the Woodstock film came out, "I'm Going Home" became an anthem. Alvin Lee was an amazing force. When Ten Years After came out with A Space in Time, with the AM radio hit, "I'd Love to Change the World," I really got on board. I really liked that song, with the combination of acoustic and electric guitar, and the political lyrics (even though he sings, "but I don't know what to do"). I think that was the first Ten Years After album that I bought. The main memory I have of seeing Ten Years After at the Cow Palace is that we were way back on the right side, in the seats going up the side of the hall and very far away. It was good music, I remember, but we were too far away. The Alvin Lee and Company concert at Winterland I remember somewhat, although I don't remember what Alvin Lee played. 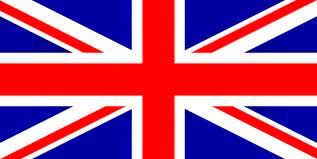 It seems to me when I think back, that there were members of the UK elite blues musicians in his backup band. I always liked his over-the-top energy level. He really gave his all when he performed. 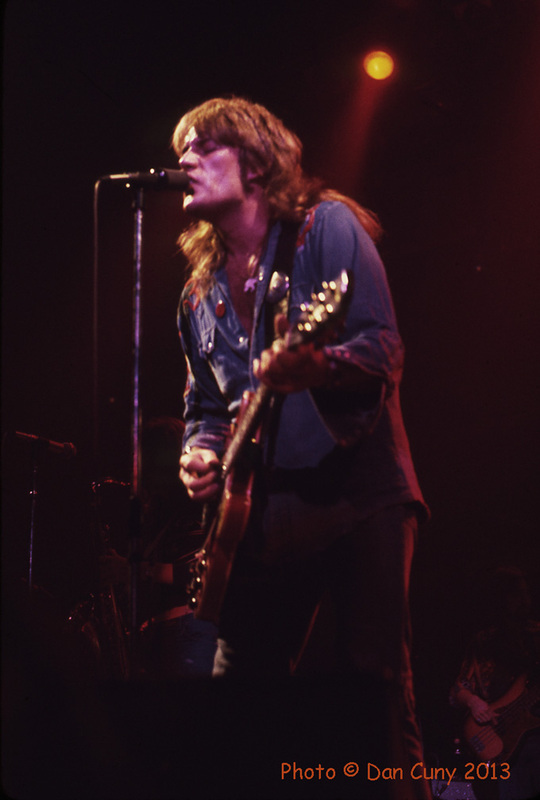 I do remember waiting afterward for autographs, and I remember standing next to Alvin Lee as he signed his name, being surprised at how short he was, compared to the screen-filling Woodstock performance that made him look like a true giant. I remember being impressed by how nice a guy he was, very friendly, relaxed and attentive, taking his time. Over his whole career, Alvin Lee wrote quite a lot of original songs, both music and words. I loved that he played hollow-body electric guitars. The red Gibson was the one he played most. Not many great players had the patience for hollow-body guitars, but Alvin Lee stuck with the hollow body. I lost track of his music with the passage of time, but it was sad to hear that he is now gone, another great musician who died before he should have. I'll miss him. Dan: Alvin Lee was someone that I always wanted to see, especially with Ten Years After. He was touring the United States in 1975 with his band, Alvin Lee and Company, which featured some of the musicians from his live album, In Flight. 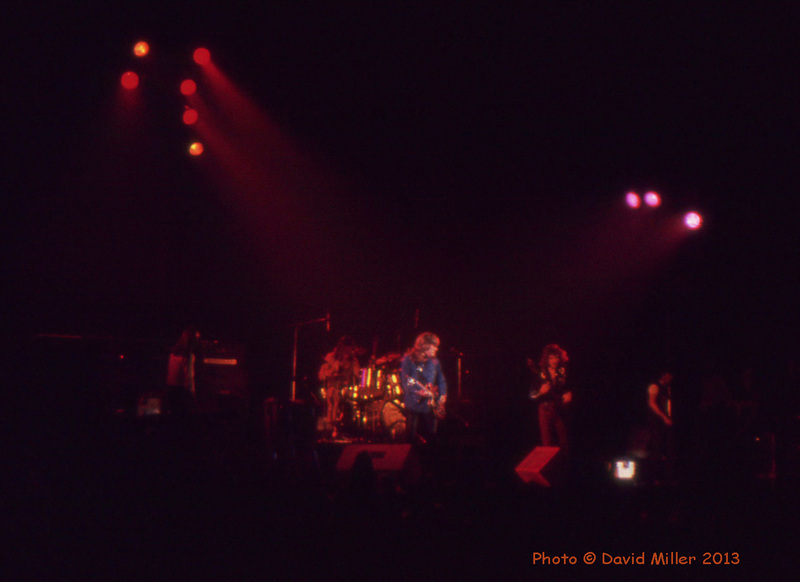 The middle act at Winterland, Gentle Giant, was another band that I had wanted to see, so it was a great show. This was one of those shows that I remember more for looking through the camera lens and thinking about the images I was taking, as opposed to the music, because I really wasn't aware of many of the songs. Alvin Lee came out in his signature blue denim shirt, with his beautiful red hollow body guitar, and started playing with his band, who all were top musicians. My focus was on Alvin Lee, and getting good images of him for my portfolio. The one thing that I do remember was thinking about his guitar playing, and thinking how he was different from many of the guitarists that we had seen in the past. He looked like he was really enjoying playing, as opposed to just going through the motions. There are others I've seen who seemed to really enjoy performing, such as George Harrison, Brian May, Robin Trower, and Eric Clapton. Maybe it was that they made it seem effortless and extremely smooth. I also remember seeing Alvin Lee's hand flying up and down the frets on his guitar neck as he played solos, which was the main reason to go to see him. I wasn't disappointed in his guitar playing, or in the images that I got from the show. Michael: When we saw Alvin Lee at Winterland, he was on leave from Ten Years After, and was playing his own music with different musicians. I was a longtime fan of Alvin Lee, so I was excited to be there. We actually had seen him perform with Ten Years After in 1974, at the Cow Palace, but, as frequently was the case with concerts in oversized venues, it was less than a prime experience. We had seats that were at a great distance from the stage, with the members of Ten Years After appearing as tiny figures who were miles away, and it seemed that the quality of their music was lost within the general tumult of the show. 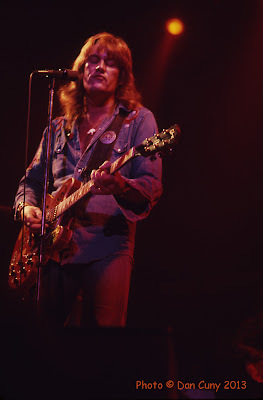 At Winterland, however, we were closer to Alvin Lee and his band, and the music came across much better. 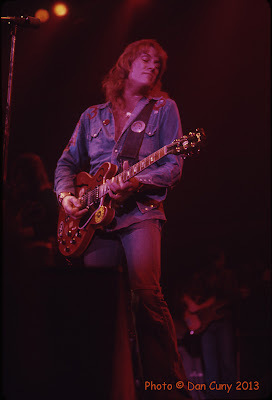 Alvin Lee was in good form on that evening in 1975, playing his songs in an easy and assured manner. He was a true star, one of the most famous musicians in rock'n'roll at that time, and it was a thrill to get a clear view of him as he performed. He had the particular look of someone who was comfortable with his own stardom, but without being full of himself. His extraordinary ability as a guitarist, and especially the extreme speediness of his fingers, was his stock in trade, and the full strength of his talent was on display when we saw him. 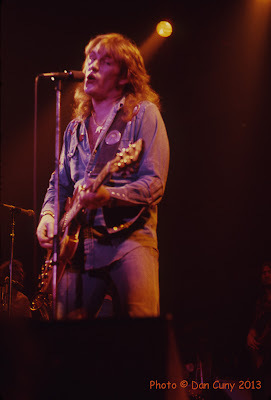 The musicians behind him (a handful of ace players from the United Kingdom) also were excellent, and they gave worthy support throughout the performance, but the spotlight was, quite deservedly, on Alvin Lee and his guitar. 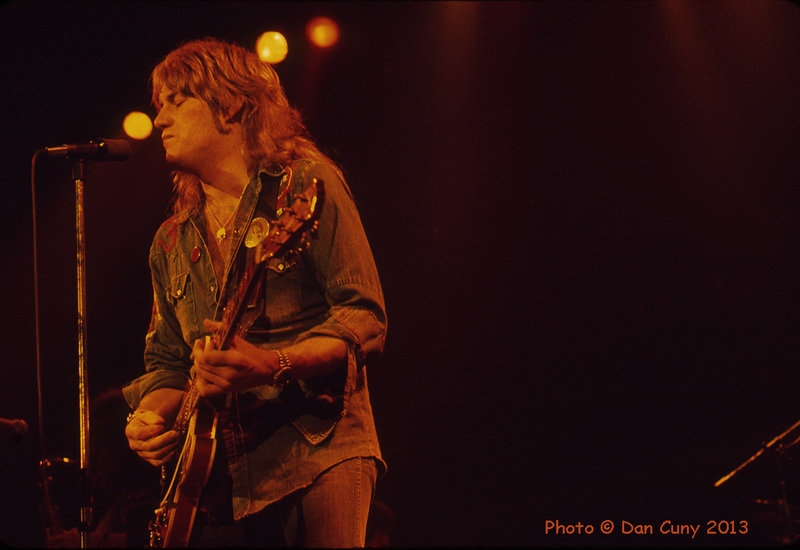 After the show at Winterland, we had a chance to speak with Alvin Lee as he was coming out of the stage door. He kindly paused for a few moments and signed autographs for us. When I asked him where he was heading next, he replied that he was going to Hawaii. 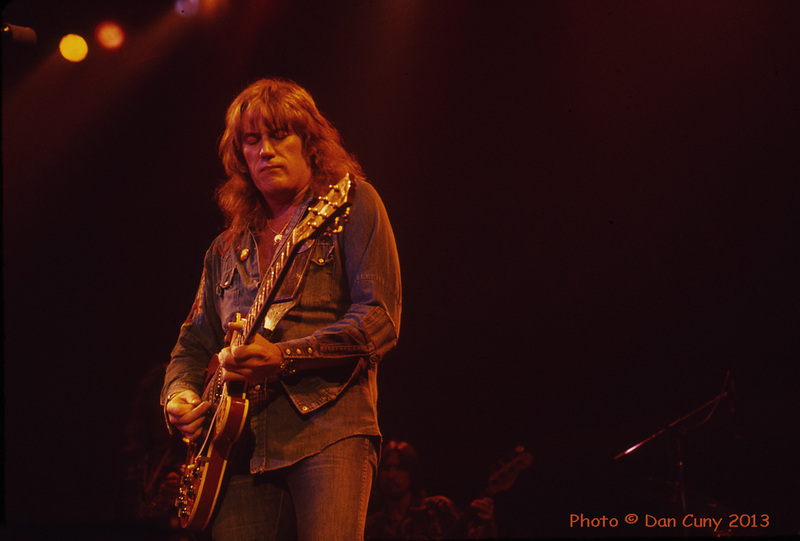 I was stunned and saddened by the news of Alvin Lee's passing on March 6 of this year. He was a dedicated musician and an able songwriter to the end, standing out and holding his own among a generation of British guitarists (George Harrison, Keith Richards, Dave Davies, Pete Townshend, Eric Clapton, Jeff Beck, Jimmy Page, Peter Green, Robin Trower) who together maintained a high standard of musicianship that enhanced and elevated the sound of rock'n'roll. 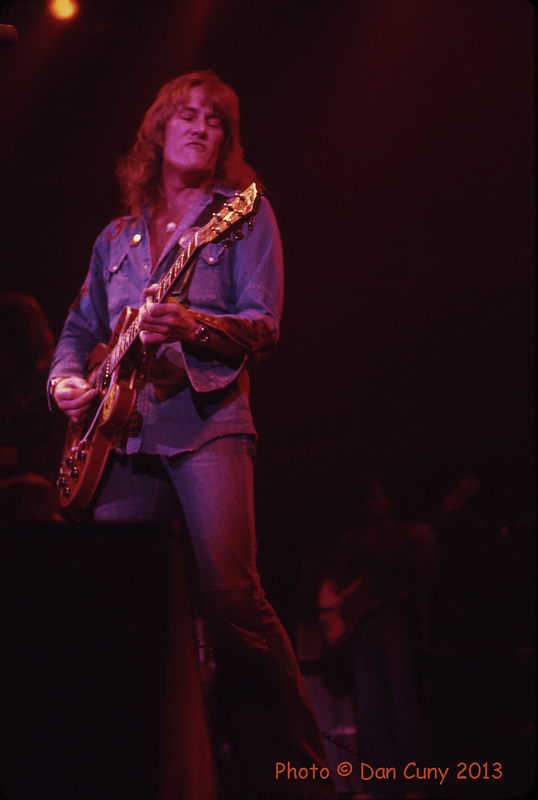 Alvin Lee was one of the best, and he will be missed.